My first missal a hardback book. 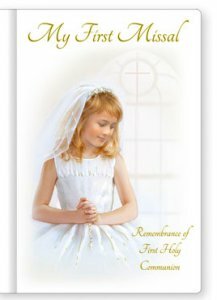 Contains the order of the mass and specially selected prayers for communion, confession and other occasions, with 15 color illustrations of the mass. 64 pages, Size: 5" x 3 1/2".